PHOENIX – John C. Birdlebough High School students carried on the Phoenix Central School District’s rich music tradition, as nine musicians were recently inducted into the Tri-M Music Honor Society. The nine newest members of the Tri-M Music Honor Society at JCB gather for a group photo after a recent induction ceremony. The inductees included Josh Margrey, Josh Dievendorf, Joseph Brennan, Ned Greenough, Alyssa Harrington, Olivia Ripley, Allison Strang, Abigail Venskus and Samantha Zerbinos. In addition to the students’ musical talents, Molloy noted that induction into the Modern Music Masters organization was also based on academic achievement and community service. 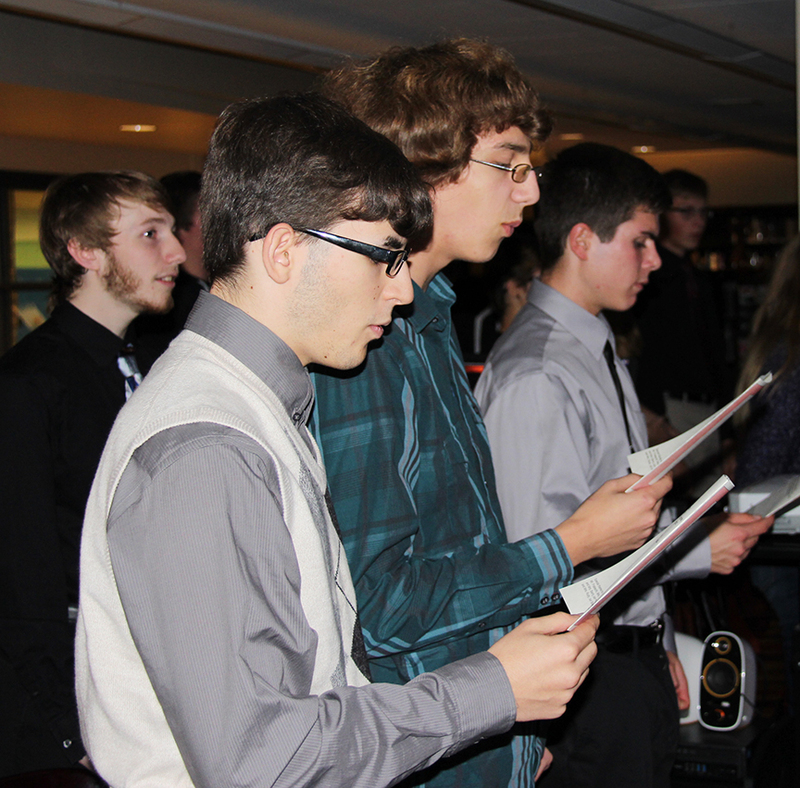 JCB student musicians recite the pledge of membership to signify their induction into the Tri-M Music Honor Society. The students vowed to continue enhancing the reputation of the PCSD as a center for musical enrichment as they took the oath of membership.